The Conjuring universe continues to grow as the upcoming sequel moves forward and finds its screenwriter. 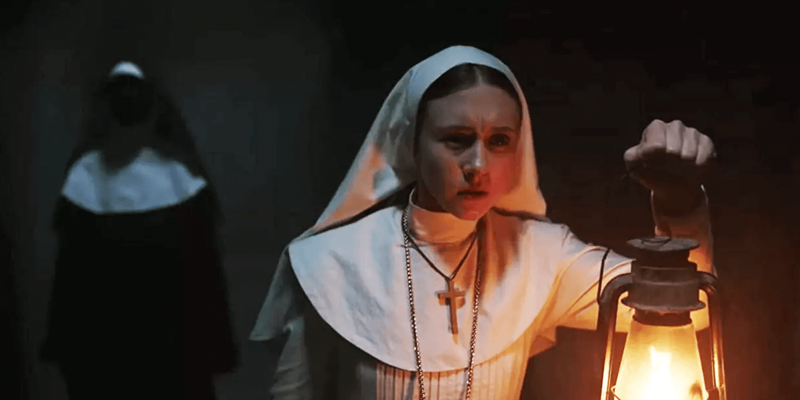 The Conjuring universe does not appear to be going anywhere anytime soon and that much is evidenced by the recent news that a writer has been selected to pen a sequel to The Nun. Deadline reports that Akela Cooper, who is known for her work on Hell Fest as well as American Horror Story and Netflix's Luke Cage, will write the screenplay for the film. She also wrote the script for the upcoming film, M3GAN, which is being produced by James Wan and Jason Blum. We first received word that a sequel to The Nun would soon be going into development thanks to comments from long-time Conjuring producer Peter Safran, who recently spoke about the future of the cinematic universe and revealed that such a follow-up might come next for the team. "I think there is an inevitability to another Nun movie. We have a really fun storyline for that teed up, so I think that that’s the next one that will be written." As usual, Safran will return to produce The Nun 2 alongside James Wan's Atomic Monster, but further details are not yet available at this time. Considering that the writing is set to begin soon, we have a little bit of a wait before we will hear more on this sequel, which will likely arrive sometime in 2020, although an early 2021 release is not out of the question either. At the very least, this serves as an official confirmation of where the Conjuring universe is headed next following The Curse of La Llorona, Annabelle Comes Home, and The Conjuring 3, all of which prove that this franchise is nowhere close to slowing down. In the meantime, stay tuned to Dead Entertainment for all the latest news and updates on The Nun 2 and The Conjuring universe as a whole.